Nowadays, there has been a tremendous increase in the number of job boards and most of them have a hefty price for posting a job ad. Some job boards have limited access to posting job ads and some of them do not have resume access. Most of these job boards do not have trial feature for posting job ads and resume access. for a long period such as a month and if they like then can continue. One has full access to post job advertisements and view resumes. 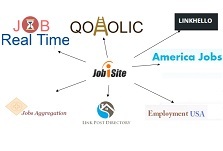 Premium job posting access wherein jobs are shown in top listings. Sharing of job ads in various other job boards. Sharing in various social sites. It’s all free to try. 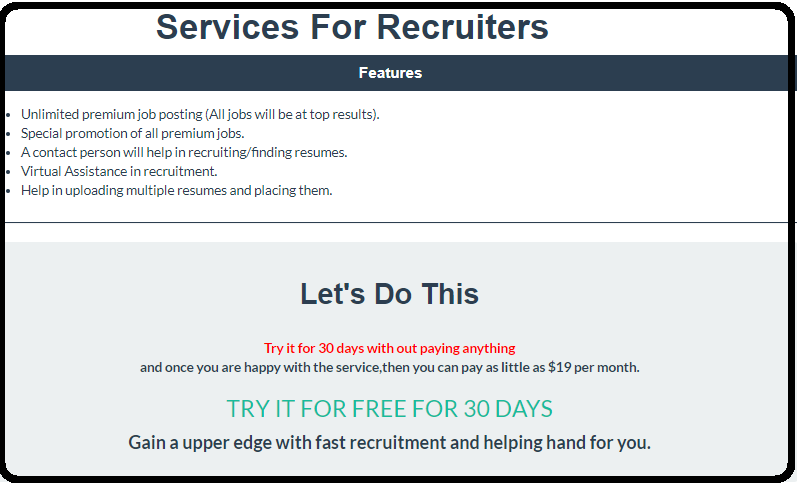 Just sign up as a recruiter and then subscribe for recruiter services or go to https://www.jobisite.com/employeePremium.htm .